Travel blog of two overland adventurers and now family travellers. Just because you have kids doesn't mean the adventure stops. It’s the most wonderful time of the year and nobody does Christmas in Europe like the Germanic countries. A German Christmas markets visit is not complete until you have huddled under a gas burner, nestled in close with friends, nursing a steaming hot mug of Glühwein (mulled wine). A mixture of wine, fruits and spices, Glühwein is supposed to help cut through the effects of the cold and give you a nice glow on the inside. Most markets have specialised and specific mugs for their Glühwein for which you pay a deposit (between 2.50/3.00€). When you have finished your wine you can either return your mug and receive your deposit back, or you can keep the mug as a cheap souvenir. Our tip; take your used mug back and get a clean one if you are going to keep it! You can also upgrade or turbo boost your Glühwein by adding a shot of schnapps, brandy, amaretto or a multitude of other liqueurs into it. Prost! Ok, so you can try bratwurst anytime you visit Germany and Austria, however if one hand is occupied with Glühwein then your spare hand can easy handle a sausage! You will find all different varieties, from your stock standard bratwurst, to smoked sausage and our personal favourite found in Austria, käsekrainer. A pork sausage with melted cheese running through the middle. This bad boy is a heart attack in a hot dog roll, but be warned, it will repeat on you all day. What better way to explore the Christmas Markets than with a meal that keeps on giving. And this is a small one! Grated potato made into a pancake which is fried and covered in apple sauce. Only Germany could make something relatively healthy unhealthy! Deep fried potato cakes, yum! Another Christmas treat, skewers of various fruits such as cherries, strawberries, banana and mandarins dipped in chocolate. We even managed to find fruit dipped in chocolate and covers in crushed Oreo biscuits – however for copyright purposes they were not called Oreo! Does Christmas food get any better than chocolate covered fruit? Traditional gingerbread comes in all shapes and sizes at Christmas time from heart shapes, blocks and even Santa inspired designs. For those with alergies it is also possible to hunt down gluten free lebkuchen. A form of rather heavy and gluggy pieces of pancake, sometimes mixed with raisens and accompanied by fruit sauce, sugar or our favourite, vanilla sauce! Oh and did we mention Glühwein?! No one quite does Christmas like Germanic Europe. The beautifully illuminated buildings covered in fairy lights, the smell of Glühwein wafting across the still night air and of course the Christmas Markets. After spending a few days working in Vienna this week and enjoying the festive atmosphere I have come to realise one thing. Vienna is quickly becoming my favourite city in Europe! Vienna has everything, amazing museums, great restaurants and the Imperial architecture is nothing short of breathtaking. Adding to that, Vienna is rarely seen on travel shows, or celebrity endorsed documentaries and you don’t very often see publications about it featuring in the top ten lists. That means people arrive with no preconception of what to expect. So most visitors are pleasantly shocked by the grandeur of city. With a relatively small population of 1.7 million, it is a city that once ruled most of Europe. Vienna in summer is a lovely place to waltz away a few days, but at Christmas the city really comes alive. 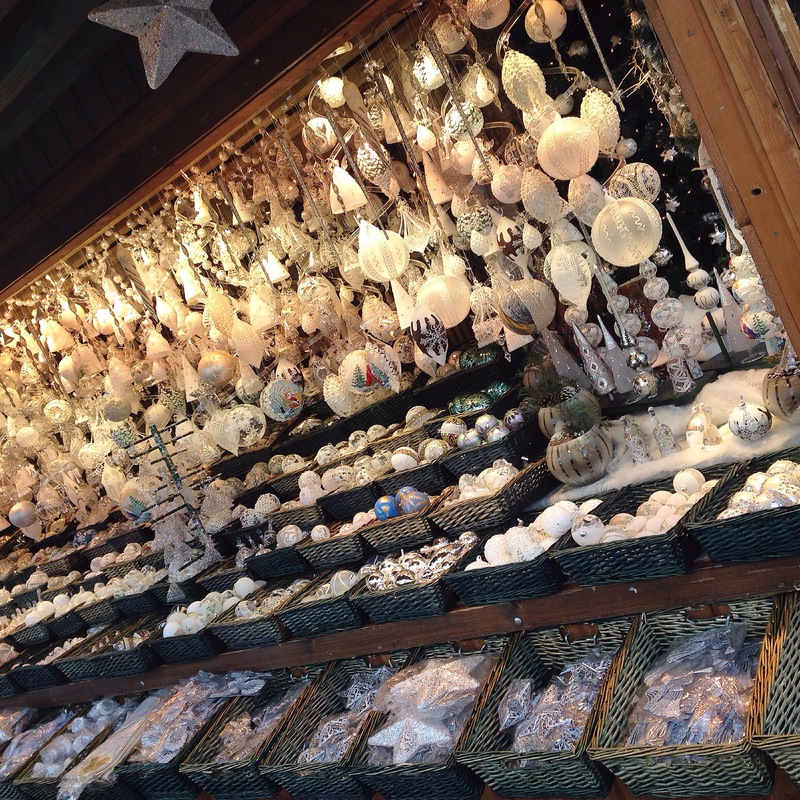 Christmas markets scattered throughout the historic centre entice visitors with arts, crafts and traditional foods. The Imperial boulevards are covered in decorative lights and the streets are filled with a festive energy. So if Vienna is not on your festive season European travel list, it may be time to change that. 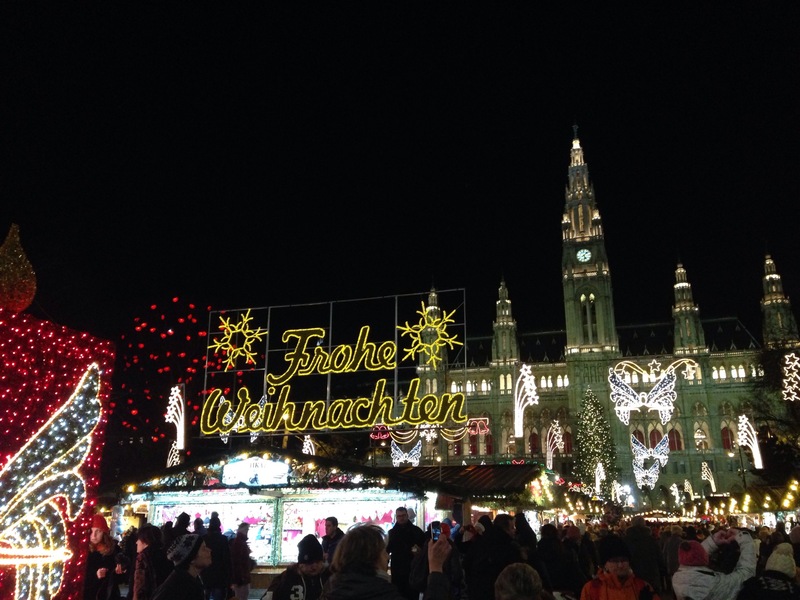 Here are our three highlights of a Christmas in Vienna. Dating back to the 1200’s the oldest and largest Christmas Markets are found in front of the Vienna Rathaus or Town Hall. Brimming with well over 100 stalls, the Rathaus Markets are a throng of festive humantity. Christmas baubles of all shapes and sizes, wooden decorations and nativity sets, plus stalls selling sizzling bratwurst and langos (a Hungarian deep fried bread) abound. Glühwein stalls are packed and celebrities read Christmas stories from a stage in the evenings. 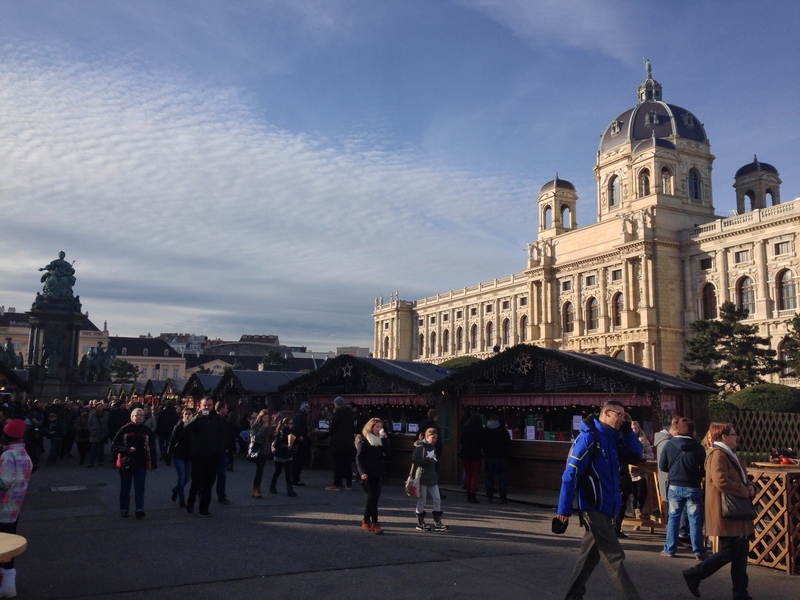 The Maria Theresa Platz also has Markets now and have been running for the last few years. Not as large as the Rathaus but still all the same goodies, it is a nice break from the crowds. However there is easy parking for coaches so expect loads of tour groups. Surrounding the St Stephen’s Cathedral there are a small number of markets but the setting is lovely. With the Gothic Cathedral towering above, food stalls and more traditional Christmas gifts can be found here, and the lighting is amazing. 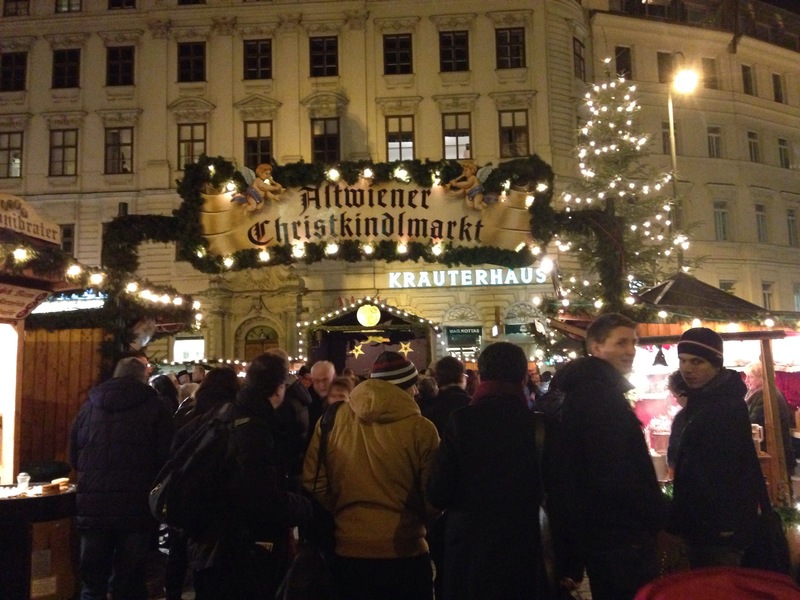 However for a real local Markets experience head to the ‘Alt Wiener Christkindlmarkt’. Nestled behind the Burg Theatre situated on Freyung, these are by far our favourites. Fewer crowds and virtually no tourists this is a much more local experience. Prices seem a little cheaper and the stalls have a higher quality of product. Carol singers grace the stage in the evenings, the locals from the surrounding offices stop by for a wine and it is a totally different experience than the chaos of the Rathaus. The two streets are the two most elegant streets in the historic Am Hof centre of the city. 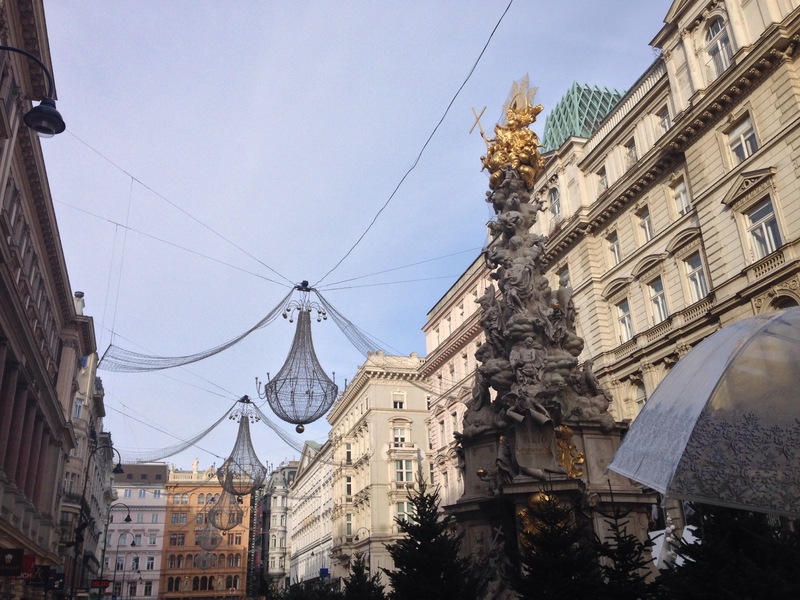 Enormous fairy light chandeliers decorate the Graben as Christmas tree vendors sell there wares in the last two weeks of advent (Austrian tradition dictates that the Christmas tree is not decorated until Christmas Eve). Kornmarkt is also lit with thousands of fairly lights and add that to the sparkly of jewels, designers and Imperial Antique dealers, it is hard not to be impressed. The enormous chandilliers of the Graben in the center of town. Mozart and Strauss recitals are about as common as schnitzel and strudel in Vienna and are performed almost nightly year round. While these concerts are aimed squarely at the visitors and tour groups, Vienna is the home of classical music and their music an important part in the history, culture and identity of the city. 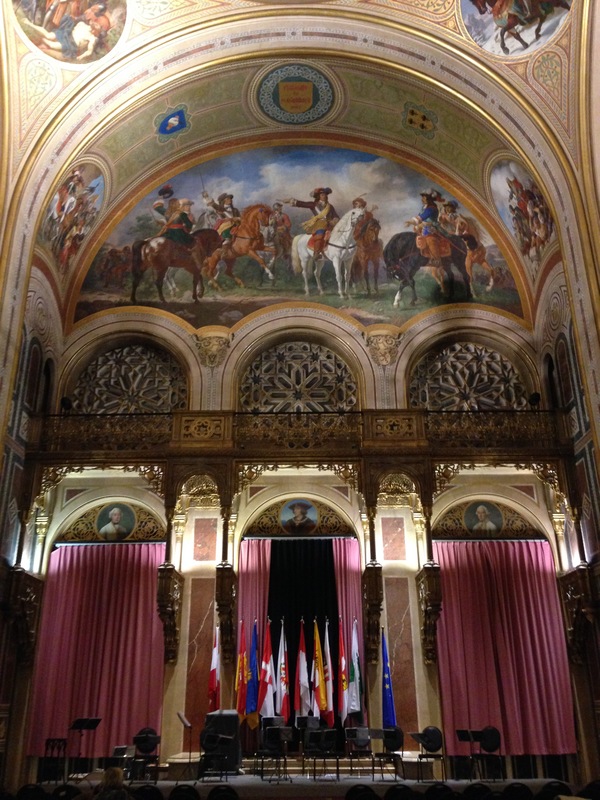 We enjoyed a concert by the Wiener Residence Orchestra inside the Vienna Military Museum. As we sat under the ornate golden dome we were amazed at the incredible acoustics and lavish interior of the museum. The Sound of Vienna concert at the Kursalon is also highly recommended. I never thought Vienna could be any more beautiful, but that was before I visited in December. It truly is a magical time of the year, and Vienna adds a touch of class to Christmas festivities. Enter your email address to follow this blog and hear the latest news from The Smart Way Round by email.